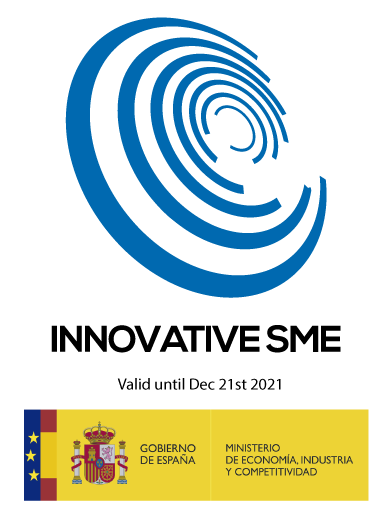 We're pleased to announce that we've received the SME Innovative seal from the Spanish Ministry of Economy, Industry, and Competitiveness. What does SME Innovative seal mean? It’s a recognition for any company that is committed to innovation, research, and technological development. The objective of ‘Innovation in SMEs’ is to optimize the Research, Development & Innovation environment for SMEs, including the establishment and facilitation of a range of support services, with the aim of strengthening the innovation capacity of SMEs and creating value on the market and for society, thus underpinning the Europe2020 strategy for smart, inclusive and sustainable growth. Since our origins at InnoQuant, a big data analytics consulting firm, we've been working in the field of innovation and technological development. MOCA was built by scientists and engineers that love data. We crafted many state-of-the-art algorithmic solutions combining physics, complex math, and scalable, high-performance computing during the last four years. Our team has been helping companies to drive revenue with science and technology. In 2016 we received the prize for the “Best Mobile Cloud Service” from the GSMA at the GLOMO Awards, one of the most prestigious awards in the mobile industry. Today, we are proud to receive the SME Innovative seal because it’s a recognition of our hard work during these years. In the next year, MOCA will continue the path of innovation by building the next-generation of mobile engagement technology. We’ll keep using cutting-edge technology to provide our clients and partners with the best possible solutions.